Lamentations of the Flame Princess: You Know Who I Feel Sorry For? The thing is, I wasn’t even going to deign to comment about Wizards, because the internet has definitely been saturated with posts, threads, and comments about the stunt. BUT, there is light at the end of the tunnel. In response to Wizards’ actions (which has garnered itself the auspicious title of PDFgate), many other publishers decided to give hobbyists some love, PDF style. I believe first out of the gate was Rogue Games, which made a pledge to continue PDF sales and treat the gamer with respect. Its pledge can be seen at the Game Publishers Association site as well as on the Rogue’s blog. Then I caught wind of White Wolf’s statement to continue producing PDFs and their offer for a free Exalted 2nd Edition download as well as a onetime 10% discount on any White Wolf titles at DriveThruRPG and RPGNow. Paizo is offering all Pathfinder PDFs for 35% off through the end of April. Adventure Games Publishing currently has 16 products on sale through May 23 as a sign of customer appreciation. One Bad Egg has every PDF product on sale for at least 10% off. Evil Hat’s Don’t Lose Your Mind has been marked down to $10. Green Ronin is offering their True 20 Roleplaying for only $9.99. Bards & Sages is offering their Karma Roleplaying System products for 10% off. Tabletop Adventures is discounting 20% off their products for the rest of this week (via Mark Gedak). Reality Deviant Production is also offering a sale for the occasion at RPGNow. The superhero RPG Hearts & Souls is marked down to only $5. As mentioned in the comments below, Flying Mice is also running specials at RPGNow. Eden Studios is running a PDF Lovers sale–all their pdfs are 50% off at RPGNow. But why stop there? Now that the old editions of Dungeons & Dragons are no longer available for legal download, I think now is an excellent time to mention all the stuff the Old School Renaissance is making that is available in what else? PDF! Oh, and to boot, much of this F-R-E-E! As a community, I say we should show Wizards that we appreciate a publisher who is still in touch with the hobbyists and that is smart enough to know that yanking digital sales will not hinder the pirates (anyone hear of a scanner or advance dev copies?). @Greywulf: Hehe, thanks for stopping by! @Vulcan Stev: Your welcome, though I stole most of them from Zachary of the RPG Blog II. April 6 from now onwards should be known as Customer Appreciation Day where every big and small publisher except Wizards should give out discounts on their PDFs in commemoration to this day. 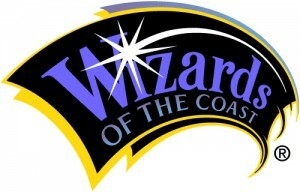 Questing GM’s last blog post..Word of Wizards – Wizards of the Coast Sues Eight For Copyright Infringement and Halts PDF Sales. @Questing: I Capital L Love that idea! Wonder if the community of RPG publishers feel the same! @MadBrew: Nice touch adding the retro-clones to the list! Heh… I said something similar, just not as nicely as you did here. I agree with the sentiment though. @Questing GM: I dig the cutomer appreciation day, you should format some kind of email to the publishers that is both a thank you and a proposal to continue the love, every year. @Zachary: Thanks! Like if there was ever a time for the Old School Renaissance to make a big move, it is now. Capitalize on Wizard’s mistake! @Helmsman: As long as the message is getting out, it doesn’t matter how nice you say it (and I read your post and it was presented just fine). @Faustus: Hmmm… fortunately or UNfortunately?